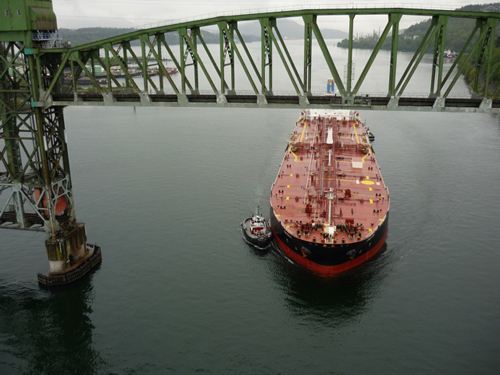 An oil-tanker sails below a rail-bridge in the Burrard Inlet. 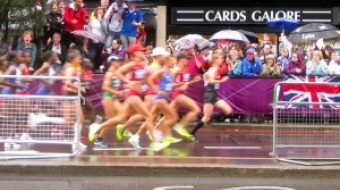 Photo's provided by Bill Gannon. As British Petroleum scrambles to contain the damage from its Deepwater Horizon spill, some Vancouverites are questioning the rising petroleum in the Burrard Inlet. 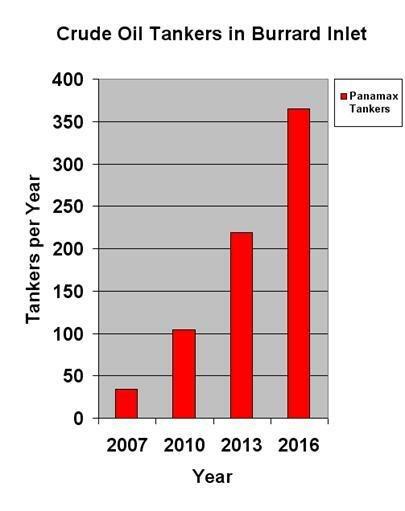 These tankers they say, could Canada's - and Vancouver's - Deepwater Horizon. Another oil-tanker moving under the CNR Rail Bridge. Port Disaster: On December 7th, 2007 the Hebei Spirit collided with a steel wire connecting a tug boat and barge five miles off South Korea's west coast. 2.8 million gallons of crude oil poured into the sea. The clean up. 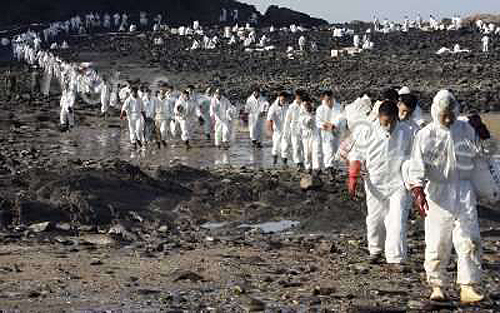 The spill in Korea required more than seven thousand people to clean up as far as 12 miles up the coast. 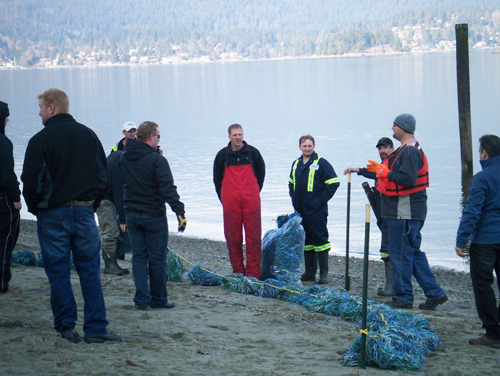 Workers practice for an oil-spill disaster near the Burrard Inlet. 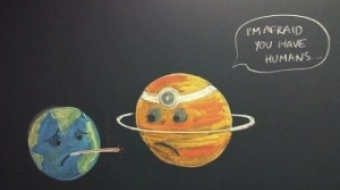 The potential. 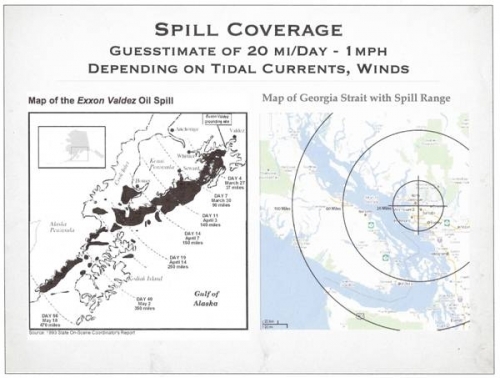 A spill in the Georgia Basin, or in the Burrard inlet would fill the seas where millions of people live. 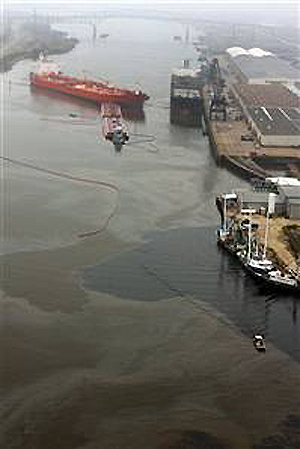 By contrast, the Exxon Valdez spill, while extensive, was nowhere near any large urban centres. 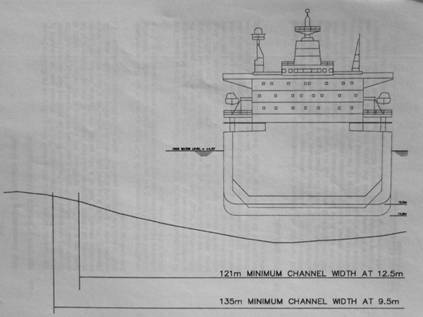 These two images above show the channel width, and depth in cross-section with tanker, from bcwaters.org website. The most risky point is the Second Narrows Bridge. 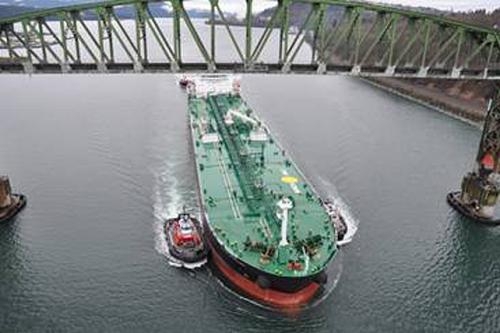 Bill Gannon estimates that with the arrival or Alberta crude, tanker traffic will increase steadily in the coming years for the port of Vancouver. For more information on the "No Tanks" advocacy group and a list of coming events, visit their website. BP has committed epic environmental crimes, but will authorities punish them? 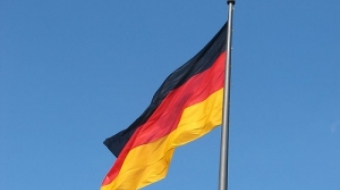 Carbon Offsets: What's Out There?